Update from the maker as of 10/22/17: "Due to a medical emergency we will be suspending shipping to Australia and the UK indefinitely. Please note there is only very limited stock of our GLOW and Wizard of Oz inspired group exclusives shades available at this launch available for shipping to USA or International Only, once sold out we do not have a restock date available for these shades." I'll try to keep this updated, but I highly recommend joining the Glam Polish fan group on Facebook. That will be where I'm getting all my info from. 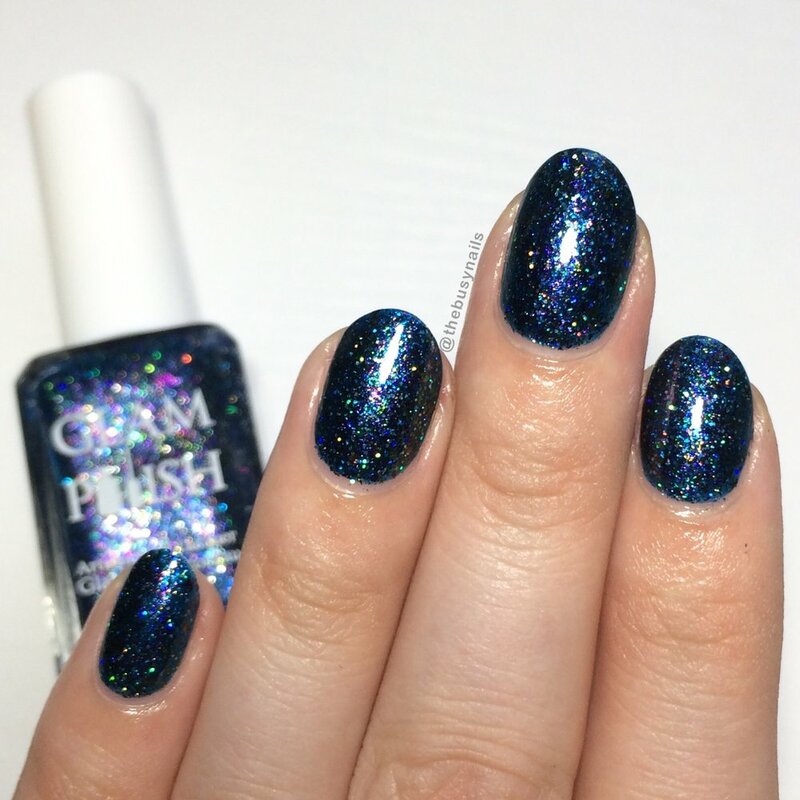 A Shimmering and Sparkling mix of shades inspired by the Gorgeous Ladies of Wresting from the hit Netflix show “Glow”. Promo Details: The full set of nine shades will be available at the special price of $97.20 for the first ninety six hours after that it will be available at the regular retail pricing of $108. I have 5 out of 9 of the shades from this collection to share. 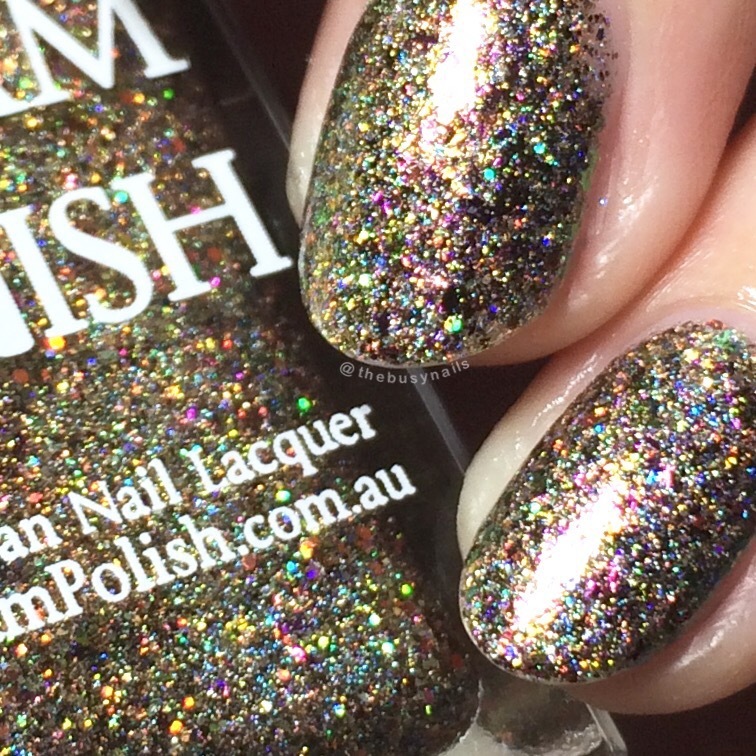 I'm running behind on this post, so I'll be keeping my thoughts on each polish short and sweet. Overall, no formula issues and they're all lovely! Very unique, fun shades for fall. 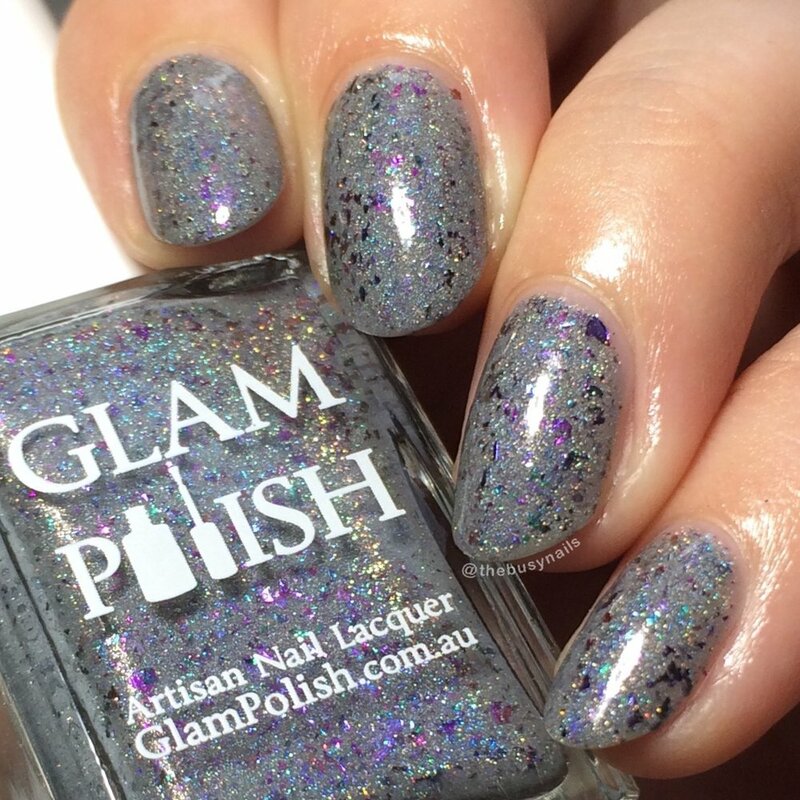 Silvery White Holo Crelly with blue-red-purple shimmer and silver ultra holo glitter. Good formula. Reads as more of a dove grey to me than silvery-white. Very shifty and etheral. Gray crelly with shifting multichrome flakies and fine holo microglitter. Sheerer than I expected - more of a crelly/jelly formula. A little thin, don't overload your brush. Love the contrast of flakies in the grey base. SO MANY FLAKIES! And they shift. Bonus: looks amazing matte. 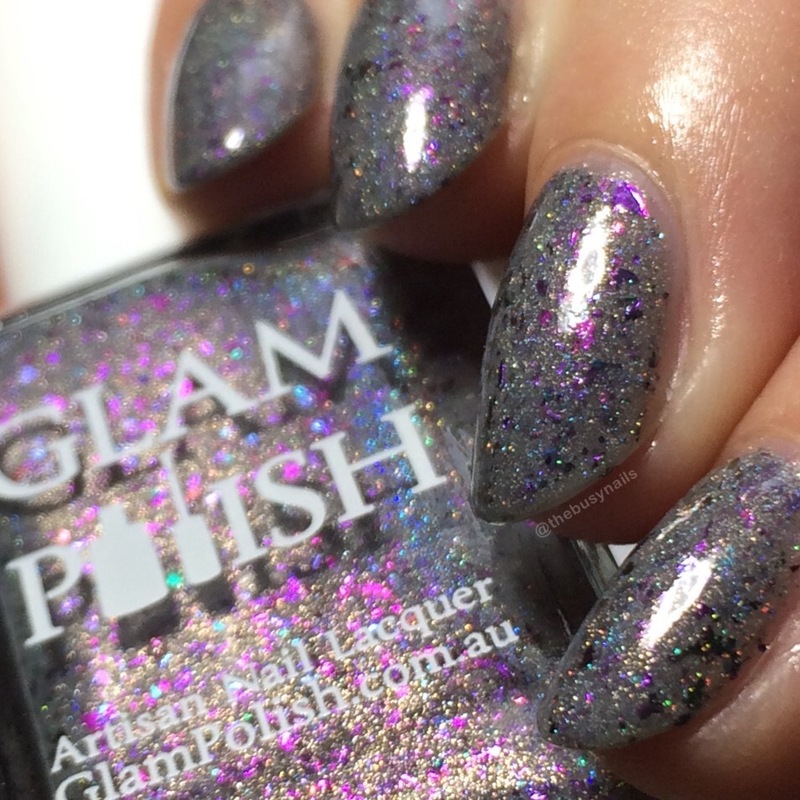 Bright plum with strong purple-blue-red shimmer and silver ultra holo glitter. Very pigmented. Dried semi matte, so I recommend a shiny topcoat (obviously). A very rich and gorgeous shade. Denim Blue Jelly with shifting multichrome flakies, silver ultra holo glitter and fine holo microglitter. The jelly formula gives this a ton of depth, but I still only needed two coats. That, and it's very sparkly! Holo base with shifting multi chrome flakies, red-gold shifting microglitter, copper, rose bronze and gold micro & silver ultra holo glitter. SO SPARKLY!!! Better coverage than I expected for something so flakie-heavy. Full coverage in two easy coats. Crazy reflective. Since I'm running behind, these beauties are already available! 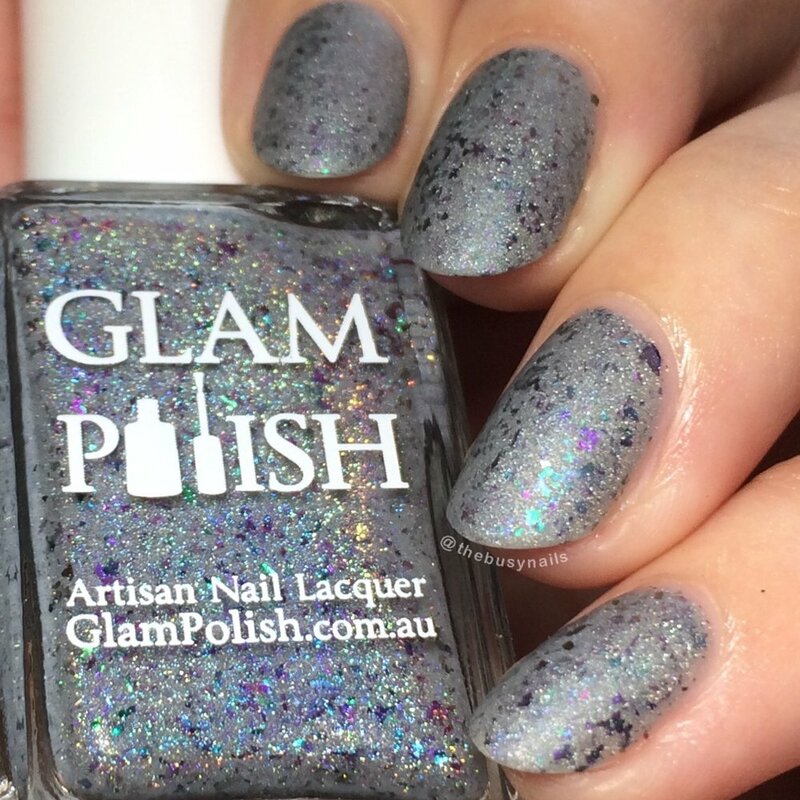 Head on over to the Glam Polish site to purchase, and keep an eye on the Facebook group for updates on shipping to Australia.